You Take Our Job Assessment Test, Our System Suggests Right Job For You. Align your Goals with skills and guide a right job role for right future Know your personality. Get rigorous classroom training, assignments, workshops and e-learning content for practice. As you practice, your progress will be monitored and system will ready the candidate for interview. Rankmyskills is an Edu-tech platform build on the principles of DATA DRIVEN CAREER ADVICE using Machine Learning Algorithms& Artificial Intelligence. The platform maps individual capabilities with their goals, market demand skills and enhances the chances of employability within a short duration. Everyone ignores the failed candidates, but our focus is candidate’s skill shortfall and retrains until he is secured a job. Astrology is also plays a major role in our assessment, where BELIEF PLAYS ROLE IN SUCCESS. Expert advisor is your artificial intelligent BOT, who will guide you throughout your life. E learning is best suited for everyone. This digital revolution has led to remarkable changes to provide quick delivery of lessons as compared to traditional classroom teaching. After the course is completed, you can take a mock test to test your completed course. It gives you a course completion certificate and also tell where you are compared to others. An official document attesting to a status or level of achievement. Our certification gives you a good exposure in the market for your career in the future. Plan your career with expert guidance. Our career trainers, will help you make the right choice through personalised career counselling and support for all your queries. Incorporate the drivers influencing a candidate’s success by Analyzing student data, AI predictions and Job market dynamics for a successful career path. Our deep learning techniques infuse trends to create a personalized Job market aware strategy that improvesyour goals & skills for becoming employable. We understand that our system,mentors are looking for mapping student’s goals, skills with Job market - our platform bundles many factors, AI, and workflow to offer a clear guidance for a smooth employability process. Are you good at reading reports, understanding data analysis, asking right questions? Are you the person, who knows how earnings will impact individual personal & professional life? How about you have the power to approve a loan & disburse money to a customer? Join to learn the course, become a bank credit officer. "Between fiscals 2015 and 2018, unsecured credit - comprising personal, small and medium enterprise (SME), and credit card loans - clocked a growth rate (CAGR) of 27%, Which is four times growth in bank credit"
Exams are the way to test our knowledge. Without conducting the exams and test students don't concentrate in their studies and learn their lessons properly. You can test your knowledge what you are learning in this course. You can take real time experience what you learn from the course. We give you an End to end process from customer onboarding to disburse the amount to the customer. Growth in unsecured loans is on account of a surge in discretionary spending, increased availability of customer data, faster disbursements driven by technology, and lower interest rates in some segments. The finance sector is a field rich in great earning, rewarding, enriching and informative career options in a wide range of industries. A career in the financial sector has so much to offer to young and ambitious professionals. Didn’t get a job? Keep on practicing. Are you good at reading reports, understanding data analysis, asking right questions?. Are you the person, who knows how earnings will impact individual personal & professional life?. Can you think more than 10 years of future and understand basics of OWNERSHIP?. How about you helping someone to buy their dream home, start a new business with your approval? The bank recapitalization plan by Government of India is expected to push credit growth in the country to 15 per cent and as a result help the GDP grow by 7 per cent in FY19 . Many people fall into a trap by taking a new loan to pay off other loans without considering the long term impact. If you are struggling to make payments towards your existing loans, it's advisable to approach a firm providing Debt Consolidation services. Combining a number of unsecured loans into a single new loan that is more favorable is called Debt Consolidation. Our training is not just a class room session. It’s more than that. Internship – Meet the customers with smart phone app, ask their needs, give your advice and address their needs with your skills. The Mutual Fund (MF) industry in India has seen rapid growth in Assets under Management (AUM). Total AUM of the industry stood at Rs. 23.26 lakh crore (US$ 360.90 billion) as of April 2018. 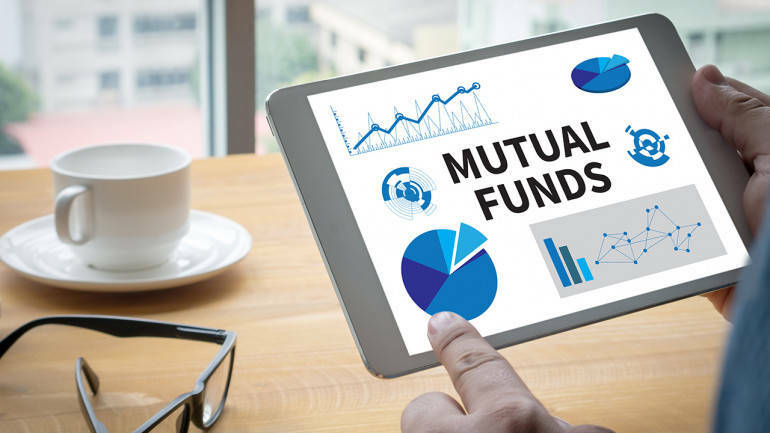 At the same time the number of Mutual fund (MF) equity portfolios reached a record high of 2.27 billion in February 2018. On account of rise in investments in the Mutual Funds and other financial instruments, the revenues of the brokerage industry in India are forecasted to grow by 15-20 per cent to reach Rs 18,000-19,000 crore (US$ 2.80-2.96 billion) in FY2017-18, backed by healthy volumes and a rise in the share of the cash segment.